ASTM A335, UNS K11597 , DIN 1.7338. Chromium-Molybdenum UNS K11597 Pipes, AS UNS K11597 Pipes, Alloy Steel P11 Seamless Pipes,ASME SA335 Alloy Steel P11 Seamless Pipes Supplier in Mumbai, India, WERKSTOFF NR. 1.7338 Piping, Alloy Steel DIN 1.7338 Pipes, Alloy Steel UNS K11597 Pipe, ASTM A335 Chrome Moly P11 Pipes. 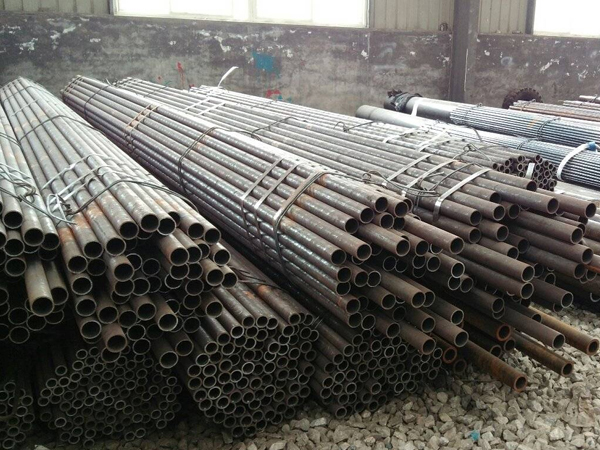 Alloy Steel Grade P11 Pipes, ASTM A335 P11 Pipes, Alloy Steel Seamless Pipes, UNS K11597 Chrome Moly Pipes, P11 CrMo Pipes in Mumbai , Alloy Steel P11 Pipe Price List, 1.7338 Alloy Steel Pipes, ASME SA335 Alloy Steel P11 Pipes, Alloy Steel P11 Pipes, P11 Chromoly Pipes, P11 Alloy Steel High Pressure Pipe, P11 Pipes. Jayesh metal is the top leading industry that has shortly gained high popularity all across the globe in supplying the wide comprehensive range of Alloy Steel P11 Pipes. They are having well trained skilled experience and expertise professional engaged in offering the stunning quality of the product by putting all their efforts. As the item is produced with full care and cautious using the latest tools and technology and superior quality of alloy item is offering various attributes. The features are like withstanding heavy loads, rugged constructions, high tensile strength, stability, and durability, flexibility, cost-effective, easy to fit. It also has few more attributes like corrosion resistance, pitting resistance, stress crevice corrosion cracking resistance, anti-corrosive and oxidation resistance. The dimensions of Alloy Steel P11 Pipes are ASME, API, and ASTM. The sizes of it are 1/8” NB to 30” NB IN. The specifications of it are ASME SA 335 and ASTM A 335. The schedules of it are SCH 20, 80, 30, 60, 40, XS, STD, 140, 120, 160 and XXS. The length of it is within 13500mm. The type in which it is available is in fabricated and seamless. The form in which it is available is hydraulic, round etc. the length in which it is available is double and single random and in cut length. The ends of it are the plain end, beveled end and treaded end. To buy those no doubt you can approach to Jayesh Metal as they will offer you best quality of value-added and sales after services. 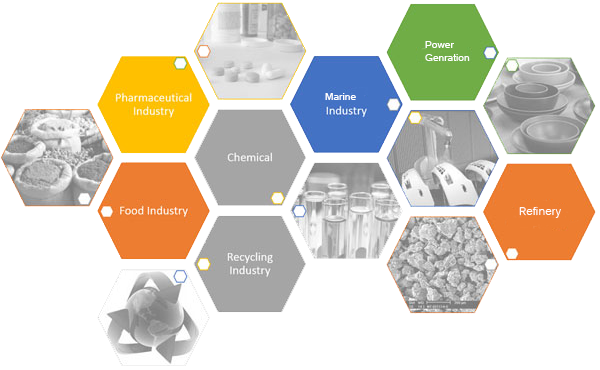 alloy steel seamless pipe suppliers in mumbai, chome moly p11 pipe manufacturers in mumbai, chrome moly steel p11 pipes dealer in mumbai, alloy steel p11 pipes, alloy steel p11 pipe specifications, asme a335 p11 pipe schedule chart, chromium-molybdenum steel p11 pipe price per foot, alloy steel boiler pipe, p11 alloy steel pipe price list, schedule 40 grade p11 pipe dimensions, as p11 pipe weight chart, chromoly steel p11 pipe grades chart, alloy steel p11 piping sizes, chrome moly pipe prices. chromium-molybdenum steel p11 pipe, jindal p11 alloy steel pipes price list, chrome moly steel p11 high pressure pipe price list, alloy steel p11 pipe prices, alloy steel p11 pipes supplier in india. Russia, Costa Rica , Sweden, Portugal, Romania, Denmark, Croatia, Australia, Greece, Jordan, Sri Lanka, Japan, United States, Philippines, Ukraine, Kuwait, Lithuania, Venezuela, Malaysia, Oman , Macau, Pakistan, United Kingdom, Nepal, Bhutan, Iran, Poland, Ireland, South Korea, Libya, Mongolia, Peru, Finland, Czech Republic, Trinidad & Tobago,Tunisia, Poland, Brazil, Yemen, Morocco, Spain, United Arab Emirates, Bulgaria, Indonesia, Bahrain, Tibet, Chile, Estonia, Namibia, Iran, Slovakia, Austria, Saudi Arabia, Bolivia, Mexico, Serbia, Colombia, Switzerland, Qatar, Chile, Hungary, Bangladesh, Azerbaijan, Canada, Singapore, South Africa, Germany, Iraq, Gambia, New Zealand, Lebanon, Nigeria, Angola, Argentina, China, Kazakhstan, Afghanistan, Thailand, France, Netherlands, Kenya, Italy, Ecuador, Mexico, Nigeria, Belgium, Zimbabwe, Taiwan, Algeria, Belarus, Egypt, Turkey, India, Norway, Gabon, Vietnam, Ghana, Israel, Puerto Rico, Hong Kong. Toronto, Vung Tau, Pimpri-Chinchwad, Kuala Lumpur, Thane, Kolkata, Madrid, Riyadh, Gimhae-si, Algiers, Surat, Melbourne, Seoul, Baroda, Jamshedpur, Kanpur, Haryana, Dammam, Milan, Colombo, Navi Mumbai, Indore, Houston, Ludhiana, Geoje-si, Lahore, Istanbul, Petaling Jaya, Ankara, Aberdeen, Los Angeles, Lagos, Ernakulam, Granada, Dallas, Sharjah, Secunderabad, Bengaluru, Chiyoda, Ranchi, Port-of-Spain, Chandigarh, Dubai, Rajkot, Mexico City, Chennai, Visakhapatnam, Ho Chi Minh City, Bangkok, Manama, Doha, Howrah, New Delhi, Hong Kong, Calgary, Muscat, Mumbai, Busan, Thiruvananthapuram, Bogota, Kuwait City, Jakarta, Abu Dhabi, Brisbane, Jeddah, Coimbatore, Atyrau, Ulsan, Perth, Jaipur, Gurgaon, Vadodara, Hanoi, Karachi, Al Jubail, Moscow, Cairo, Hyderabad, Edmonton, Santiago, Pune , Courbevoie, Montreal, La Victoria, Nagpur, Noida, Ahvaz, Nashik, Al Khobar, Ahmedabad, London, Tehran, Bhopal, New York, Caracas, Rio de Janeiro, Faridabad, Singapore, Sydney.